Dr Dennis Hemphill is an Associate Professor in Sport Ethics, with expertise in research and teaching, as well as industry and public engagement. Dennis is a Research Associate in the IHES 'Sport for Inclusive Communities' research program. His research focus is sport integrity in community sport, performance enhancement and anti-doping policy, as well as human rights and anti-discrimination in sport. His teaching responsibilities cover integrity and ethics in sport, clinical exercise, sport science, physical education and sport management. 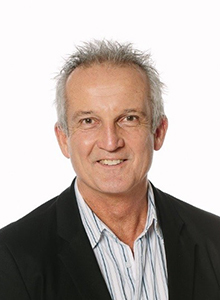 Dennis is a longstanding member of the International Association for the Philosophy of Sport and serves as Chair of the Exercise and Sport Science Australia (ESSA) Ethics and Disciplinary Committee. He acts as a consultant to professional and industry bodies, plus contributes to public debate through various media outlets. Mazanov, J., Hemphill, D. Connor, J., Backhouse, S. and Quirk, F. (2014) 'Australian Athlete Support Personnel Lived Experience of Anti-Doping', Sport Management Review. Mazanov, J., Backhouse, S., Connor, J., Hemphill, D. and Quirk, F. (2013) 'Athlete Support Personnel and Anti-Doping: Knowledge, Attitudes and Ethical Stance', Scandinavian Journal of Medicine and Science in Sports. 24(5), 846-856. Hemphill, D. (2010) 'Sport-Smart Persons: A Practical Ethics for Coaching Young Athletes'. The Ethics of Sports Coaching. Edited by A. Hardmun and C. Jones. London: Routledge. Hemphill, D. and Symons, C. (2009) 'Sexuality Matters in Physical Education and Sport Studies', QUEST, vol. 61, pp. 397-417. Hemphill, D. (2009) 'Performance Enhancement and Drug Control in Sport: Ethical Considerations', Sport in Society, vol. 12, no. 3, pp. 313-326. View Dennis' full publication list in the Victoria University Research Repository. Hemphill, D. & McNamee, M. (2017) International Council for Sport Science and Physical Education. Biennial Working Programme for 2017-2018. Sport Integrity Education Resource. Hemphill, D. and Wilson-Evered, E. (2016) 'A Validation Study for the SRV Sport Integrity Vulnerability Assessment Tool'. Department of Health and Human Services, Sport and Recreation, Victoria. Hemphill, D., Outram, S., Spaaij, R., Fry, C., Wilson-Evered, E., Stewart, B., Westerbeek, H. and Payne, W. (2015) 'Victorian Sport Integrity Capability Analysis', Department of Health and Human Services, Sport and Recreation, Victoria. Hemphill, D., Wilson-Evered, E. and Hanlon, C (2014) AFL Ethics in Action workshops and evaluation research project. Zion, D., Hemphill, D. and Ball, M. (2014) 'Informed Consent in Inter-professional Education and Research'. VU Internal Grant (from Commonwealth funded Inter-Professional Education Program). Mazanov, J., Connor, J., Hemphill, D., Quirk, F., & Backhouse, S. Commonwealth of Australia Anti-Doping Research Program. Educating the Sportsnet: Understanding the Anti-Doping Knowledge, Beliefs and Attitudes of Support Personnel in Sport. Wilson-Evered, E., Hemphill, D. and Moberly, B. (2016) Validation and Development of the Sport Integrity Vulnerability Assessment Tool and Toolkit. Final Report to Sport and Recreation Victoria. Hemphill, D., Spaaij, R., Fry, C., Wilson-Evered, E., Stewart, B., Westerbeek, H. and Payne, W. (2015) 'Victorian Sport Integrity Capability Analysis', Department of Health and Human Services, Sport and Recreation Victoria. Presentation at Minister’s Stakeholder Forum. Hemphill, D. (2017) Doping in Sport: 'What were you thinking?' Sport Health, vol. 34, issue 4, pp. 30-33. Hemphill, D. (2016) 'Integrity in sport needs to grow from the grassroots level', The Conversation, 9 May. Hemphill, D. (2016) 'Their club failed them, but Essendon players can’t escape blame for doping ban', The Conversation, 13 January. Wilson-Evered, E. and Hemphill, D. (2015) 'FIFA needs top-to-bottom overhaul if it is to survive', The Age, 4 June.